Europe’s leading men’s teams have a new challenge ahead of them in Europe’s premier club handball competition as the VELUX EHF Champions League Group Phase reached its conclusion. FC Barcelona Lassa and HC Vardar topped their respective groups and are rewarded with direct qualification to the quarter-finals. 12 teams will play in the Last 16 with the final pairings decided only in the last matches of the group phase. 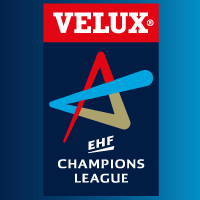 No fewer than three French teams made it to the Last 16, with HBC Nantes set to continue their fairy tale first season in the VELUX EHF Champions League with a clash against Paris Saint-Germain Handball. The new playing system introduced at the beginning of the 2015/16 season in the VELUX EHF Champions League continues to deliver thrilling action and close and attractive matches. Half of all the matches played this season were decided by three or fewer goals and 10% ended in a draw. Of the 178 matches played so far, only four were decided by 10 or more goals. Going into the final round of the group phase, 15 of the 16 teams in groups A and B still had the option to qualify for the Last 16. TV figures also confirm the attractiveness of the competition, with 60 countries broadcasting the competition to millions around the globe and further increases this season in both the number of hours of coverage and overall audience on TV and the EHF’s own OTT platform, ehfTV.com. In social media too, interest in the EHF Champions League continues to grow. Since the start of the season, the competition’s Instagram account @ehfcl has grown by 20 per cent, Facebook by 10 per cent and there has been a 56 per cent increase in engagement on Twitter. The competition’s following outside of Europe is also significant. Brazil, for example, is now the fourth biggest group of fans on the official EHF Champions league Facebook page. The competition’s social coverage has been further enhanced this season with the introduction of a new Snapchat magazine show, aimed specifically at younger audiences. The ‘Handball Zap’ on the ‘EHF_Live’ channel offers followers the latest news from the competition as well as highlights and exclusive interviews. A new and innovative marketing technology will be launched by EHF Marketing GmbH during the Last 16 knock-out phase. The tool, developed by Kwangl Solutions, a provider of innovative marketing technology platforms, opens up new avenues for the EHFM and its sponsors to proactively engage and reward handball fans. The combination of traditional advertising with Kwangl's innovative ‘programmable hashtag’ (p#) technology will bolster marketing campaigns through the competition’s social media channels, offering fans the chance to win rewards from partners and sponsors and will form a key element in the promotion of the new VELUX EHF FINAL4 merchandising range to be launched in May. The first ‘Match of the Week’ of the Last 16 will be the opening thriller between French sides HBC Nantes and Paris Saint Germain Handball on Saturday, 25 March 2017. The ‘MOTW’ is the standout match of each round, selected to showcase the VELUX EHF Champions League at its best, with English commentary on ehfTV.com, behind-the-scenes reporting and an enhanced fan experience on-site through special partner and sponsor activation.